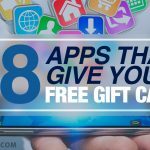 9 Ways to Become a Beta Tester and Get Paid to Play Games and Apps! 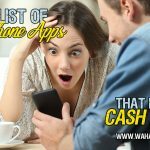 You are here: Home / Extra Cash / 9 Best Ways to Become a Beta Tester and Get Paid to Play Games and Apps! It sounds too good to be true: play games or use apps and get paid for doing so. Beta testing lets you do just that. Test out games and apps and report your opinions, glitches, etc., and turn your time into money and rewards. 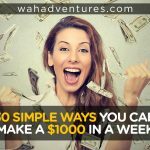 I’m going to give you some tips so that you can find beta testing opportunities to make a little extra cash. These tips aren’t to be confused with a beta testing career, but instead can provide some extra income as a super fun side gig. If you want to learn how to beta test games for money, this is the article for you. Beta testing is a necessity for any legitimate developer. Before a game or app reaches the public, developers put it through rigorous testing to see how it does out in the world. The only way to have accurate results is by letting people test them across multiple devices. This way, the developers can see if there are any problems running the app or game on certain devices, software interference that could affect some players, etc. The more people that participate in beta testing, the better feedback developers will receive on their product. You, as a beta tester, will be responsible for playing the game or using the app for testing purposes. After you’ve had ample time to use it, you’ll provide feedback to the company about anything you’ve experiences. Say what you loved, what you hated, and any bugs or glitches that got in the way as you used it. A beta test is basically the last stop before the app or game gets released to the public. So, be sure to be detailed and honest in your feedback. It’ll help developers know what they need to work on before releasing it! How Can I Get Paid to Beta Test? Developers aren’t the only ones who benefit from your feedback, though. YOU also reap the benefits when you get rewarded for your time! 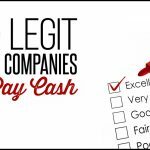 Some companies pay in cash, while others offer rewards, like free games, gift cards, or other prizes. Either way, you’re getting something a little extra for doing something fun, which is pretty cool. You’ll want to check the guidelines of whatever program you apply for beforehand. If you’re only after cash rewards, then some won’t be right for you if they only offer gift cards or other types of rewards. So, where can you find these beta testing jobs? 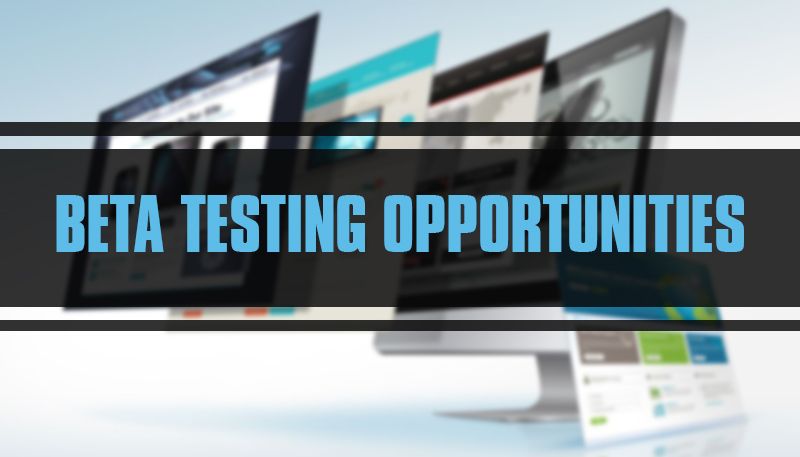 You don’t have to look any further than right here, where I’ll outline some of the best spots on the web to find ways to get paid from testing apps and games. First, I suggest following your favorite gaming and app development companies on social media, like EA, Blizzard, and Activision. Beta testing jobs for these companies are few and far between, and very exclusive, but they still to pop up. What’s the one place that these companies usually post their newest testing job openings? Twitter and Facebook, especially, are two of the best places to stay up-to-date with beta testing opportunities for your favorite companies. Consider following gaming influencers, too, who are the most likely to share these opportunities with followers when they become available. There are tons of gaming forums online for serious gamers to beginning players. These are good spots to hang out if you want to be the first to know about beta testing opportunities from your favorite companies, as members will often share them in the forums. You can also check out some forums that focus on beta testing opportunities of all sizes. The opportunities won’t always be paid, so you’ll have to do your own research before signing up. Check out your favorite game and software development companies, like UbiSoft and Symantec, for discussions about open beta testing opportunities. Android has a forum for developers to post their testing opportunities for Android users, some of which are paid or rewarded. You can also try the Beta Testing Forums on TechAdvisor. Beta Family is a place on the web where app developers for Android and iOS systems can place their beta testing opportunities. The tests take only minutes to set up, and the developer can search through the database of testers to find ones that might be a good fit for their product. As a tester, you’ll need to test the app and answer specific questions given by the developer, which can include information on anything from the design to the user experience. You can also search for open opportunities, rather than waiting for them to come to you. You’ll get a rating depending on how accurately and in-depth you answered the questions. Then, the developer will choose how much of a reward to give you. Here, it definitely pays to be thorough in your responses and spend adequate time testing out the app. Betabound is Centercode’s beta testing community. Centercode is a tech company that helps other tech companies improve their products. As a beta tester here, you’ll have the opportunity to work with some of the biggest names in the business, from Amazon and Dell to Netflix and Yahoo!. The best part is that this program accepts just about anyone. You don’t need any special experience or interests, just a desire to shape the future of various software. Once you set up your account, you can view open beta tests and apply. Betabound offers gift cards and other prizes in lieu of cash. Erli Bird is a testing company that partners big-name companies with beta testers like you. You can test everything from apps and software to websites and other tech products here. The only requirements are that you’re at least 18 years old, speak and write English fluently, and have the device needed for your specific tests. Once you join, you can begin applying for open opportunities. The base rate is $10 per test, but you can earn more depending on how long the developers expect it to take and how in-depth it is. The site also sometimes has paid focus groups that will take more time and require a bit more work, but they’ll also pay more. iGameLab pays between $10 to $15 per month for active participation in the program. It’s not much, but it’s still a little extra cash in your pockets just for trying out new things! Here, you can test websites, apps, online games, and virtual worlds. Most of the tests here are actually geared toward children and teens who can beta test with their parents’ permission, but there are some tests available for adults as well. LoseIt is a weight loss app that helps you track calories, water intake, exercise, and everything else that can help you lose weight. The company uses beta testers for its own app before it releases new updates to the public. And, LoseIt also integrates with the FitBit, so it also has a separate testing program for FitBit beta testers to help improve the integration. You can email the manager of the beta program with the information listed on the site if you’re interested in joining or being considered for future testing opportunities. VMC lets people test console and PC games before they’re released to the public. You have to be at least 18 years old, able to sign a non-disclosure agreement, and follow all instructions to the detail. Specifically, this program focuses on stress testing, which refers to an intense form of playing to ensure that the game can perform well on various devices. The rate you get paid depends on where you live, but you’ll get paid hourly. 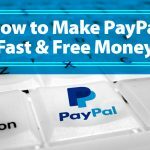 You should expect to receive your payments via PayPal within 45 days after your project has ended. 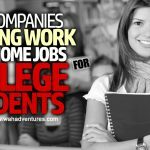 If you’re not having any luck finding open opportunities at the above companies, you can always contact companies yourself. Some companies outsource beta testing to testing companies, whereas others are happy to have fans of their company join in on the fun, especially if they have in-depth knowledge of their other games. It’s worth a try, then, to contact the company to see if there are any available opportunities for you. On the company website, try to find the email address for someone who might be able to help, rather than sending your email to the general questions inbox. Sometimes, a company will even have information for a contact on the testing team, which will give you the best shot at getting an opportunity. Keep your email simple, asking if the company uses any freelance beta testers and, if so, how you can become one. Make it known that you currently use the company’s products, mention your favorite or two, and your level of knowledge of the company and its products. A little bit of information can go a long way in this case! Getting paid to test software, apps, and games is definitely not out of reach. It’s even possible to become a beta tester for some of your favorite companies with a little bit of digging, work, and research. Although you shouldn’t expect to earn a living from doing this unless you get a job at a company on the testing team, it’s still a fun way to earn some extra bucks for a little bit of your time. Have you done any beta testing? If so, for what companies and what was your experience like? 6 Legitimate Ways to Test Apple Products in UK, USA and Around the Globe! i tried to test a certain game but, due to my laptop i was unable to test the game, it was a game from gear box. gear box is one of the companies that was in the development team of the game series of borderlands. so due to the fact that my laptop couldn’t quite allow the game to function, i can not say what the experience was like.